This isn’t the first time Tarn’s identity has been under investigation, oh no. I would like to claim the origination of the Roller = Tarn theory, from a post back in 2012, but that’s not the important thing. What’s important is that one of the major screw ball theories as to Tarn’s Identity was nixed from the record as of this week! Tarn is not Dominus Ambus. We learn the shocking truth about why Dominus Ambus was ‘disappeared’ via an emotionally-driven reveal featuring Chromedome, Rewind, and a turbofox. We get not one, but two incredible answers to some of MTMTE’s biggest questions. Dominus, who some fans had already suspected of possibly being the shadow-like Agent 113, is in fact that very entity and was planted by Prowl amidst the Decepticon Justice Division. Not only that, he’s been on panel in the story multiple times, but hidden in plain sight. Literally no one saw this coming, and no one has been looking harder than me. I’m going to cement the original TFwiki description of “The Pet” in history before it is drastically altered: The Pet is the nameless companion of Decepticon Justice Division member Kaon. Formerly a wild turbofox turned Sparkeater who has been partially domesticated by the D.J.D., he’s really more of a “sparkchewer”, to be honest. Yeah, I’m gonna need to know a little more about this corruption, thanks. Let’s start by reviewing my original predications, now that Dominus is out of the running. One idea I had was that the Original Ultra Magnus is still alive, but has been turned from his nobel Autobot-ness into the worst of the worst. This would definitely fit with the line exchanged between Tarn and Megatron in issue 52 about how Megatron “turned” him. Many surmise he is talking to Roller and that he was trying to emotionally damage Optimus Prime by turning his old friend. That’s an easy guess, but I believe there are additional levels. Whomever Tarn was, obviously had a lot of clout and dissent towards the Decepticon cause. What we don’t know is WHEN this corruption happened in the history of the great war. Was it recent? The beginning? The DJD, to me, have always seemed like a late-war creation. A bit of a desperation move by Megatron because his soldiers were questioning the cause. Has this Tarn ALWAYS been the Tarn? Another indication is the brutal slayings on the Quantum duplicate Lost Light. Minimus Ambus had an expectionally grisly death and if may have been at the hands of the original Magnus, laying waste to any pretender that followed. If this were the case, what will Tarn’s reaction be to Maximus Ambus? We’re sure to find out shortly. Just where did he go? Who is the real creator of Megatron? Apparently Terminus, who played the encouraging coworker of Megatron-Miner-Type on Messatine, was integral to the creation of “Towards Peace.” He appears briefly in flashback form during an important moment in Megatron’s past. Brainstorm time jumps deep within Messatine at this moment, and everyone evacuates, leaving the fate of Terminus nebulous. We learn later that Terminus was the one spreading the gospel of Megatron by hiding it in the bodies of dead miners that were shipped back to Cybertron. Talk about some heavy reading material! His name comes up sparingly and usually any resolution is cut off by a sudden event. Dramatic effect? Foreshadowing? Nothing? There is definitely more than meets the eye here. Megatron appears conflicted with any mention of him. Is it that Megatron feels responsible for his ‘death’? Or is there more? Only Megatron, Rung, and Tarn himself have ever mentioned his name in the story and that triumvirate makes for a very exclusive club. Let’s be honest, this prediction would be totally awful if true. This is the most “big business” move of all the options and would totally stink of a Hasbro take-over of the narrative. We’ve already been told Sentinel is coming back. He’s in the new toy line and Hasbro just announced lots of new initiatives, company-wide. This could also mean a major shift for how they’ve been working with vendors like IDW, and perhaps want more synergy between their toys and the stories being told. Let’s really hope not, because Sentinel would have an awful lot of ‘splainin’ to do once the mask is off. And of course, there’s good old Roller. Prime’s old pal. The solider left behind. The easily-addicted all-American football-brawler that got lost along the way. 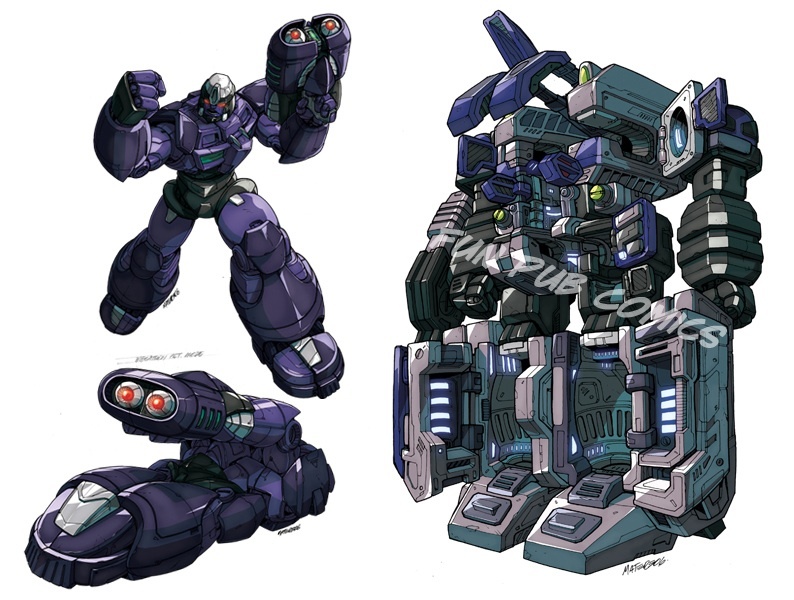 There are countless threads tying Roller to being the original identity of Tarn, but I won’t discuss them because it’s old hat at this point. With the reveal of Dominus Ambus being part of the DJD, I feel that Roberts has even more incredible tricks up his sleeve and while Roller would be perfectly satisfying, I want JR to turn the knife! Blow my mind, make it hurt! What’s in a name? Probably not much in this case but I did think it was interesting that Tarn means something that I was not yet aware of. The obvious answer is that the city he is named after had a large Cybertronian lake nestled next to it. What could that mean, fiction-wise? I haven’t the slightest but since Dominus Ambus meant Master Walks. With a linguistic trick like that, this is worth a stab! Transformers: More Than Meets the Eye wins Comics Alliance Continued Excellence best of 2015! I love that non-Transfans are stuck reading our lore! Way to go Team MTMTE!!! Comics Alliance has chosen it was the winner of 2015’s Continued Excellence in Serial Comics. This means the comic has to have been running for over a year and it maintains a writing, visual, and general great overall story telling. Hats off to the IDW team and especially Mr. James Roberts!